Fenia has been working in the field of Nutrition and Eating Behaviour for the last 12 years. In parallel with her thriving academic career, she has also run a private practice in Nutrition and Mindful Eating Counseling for 10 years in Athens (Greece) and, more recently, continued this work in Brighton, where she recently founded Mindful Eating Brighton. Over the years she has been working with a very diverse clientele seeking her expertise. Her work is focused on mindful eating/psychology of eating and nutrition, with specific applications to wellness, mood, weight loss and exercise performance. She has helped a number of clients deal effectively with clinical conditions such as obesity, heart disease, diabetes and eating disorders such as bulimia nervosa and binge eating. Using scientifically proven and established nutritional and mindful eating practices and regimes and the same time alternative approaches (i.e. meditation) she teaches you how to connect with your biological needs (i.e. hunger, satiety), how to respect your needs, likes and dislikes and how to enjoy food in a meaningful, enjoyable, healthy way, stress and guilt-free. 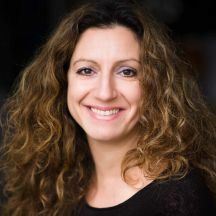 Fenia is a doctor of exercise physiology and a Senior Lecturer at the University of Brighton, with an extensive scientific and research expertise in nutrition and exercise physiology for health, obesity, exercise and mental health. Her qualifications include: NCFED Diploma In Practitioner Skills For Eating Disorders (National Center for Eating Disorders, UK); PhD in Exercise Physiology/Science Education with a focus on nutritional and exercise interventions in obesity and clinical populations (Syracuse University, USA); MscEdu in Exercise Physiology (Northern Illinois University, USA) and BSc in Exercise Science (University of Athens, Greece). As an academic at the University of Brighton, and in the past at the University of Athens (Greece) and Strathclyde University (Scotland, UK), Fenia has taught various undergraduate and graduate courses on Nutrition for Health, Exercise for Health and Clinical Populations, Sports Nutrition, Exercise Science etc. She has a number of research publications in scientific journals as well as research presentations in distinguished national and international conferences in lifestyle interventions (exercise and diet) for various populations such as postmenopausal women, obese individuals, type 2 diabetes, mental health and athletes. She is also a member of the Editorial Board of Frontiers of Nutrition. Fenia's scientific interest in exercise physiology and nutrition stems from her sports career - she was a professional competitive athlete in waterpolo in Greece and a black belt and competitive athlete in TaeKwonDo in the US. She knows from personal experience how important a balanced and mindful eating plan is for health, wellness and exercise performance. Her personal reflections on wellness and mindful eating allow her to use her experiences in an engaging, understanding and respectful way in her work with her diverse clientele. Fenia’s philosophy of work lies on taking the first step towards change in a mindful and respectful way. First accepting who you are, how you eat and what your body looks like and from there mindfully transforming into the desired ‘real you’. As part of the Mindful Eating Brighton project, Fenia runs workshops and seminars on Mindful Eating and Nutrition as well as one to one consultations.